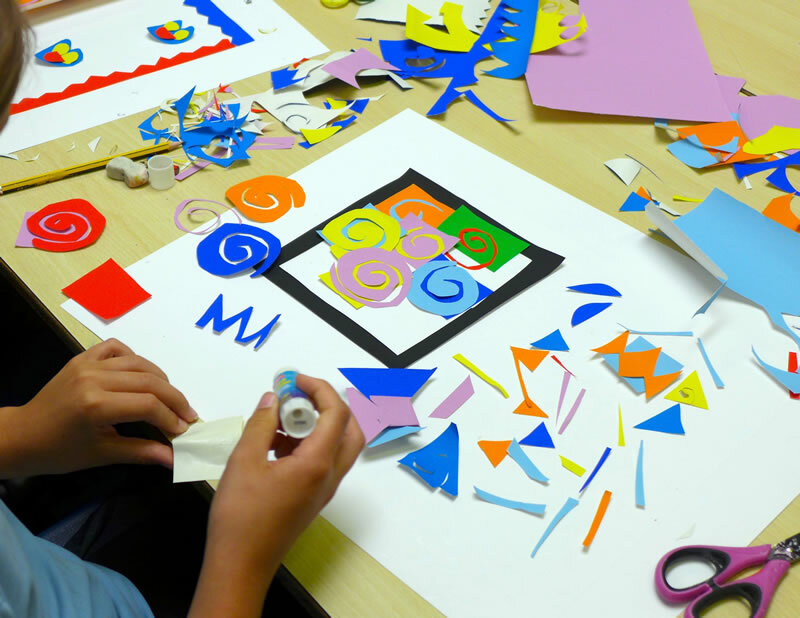 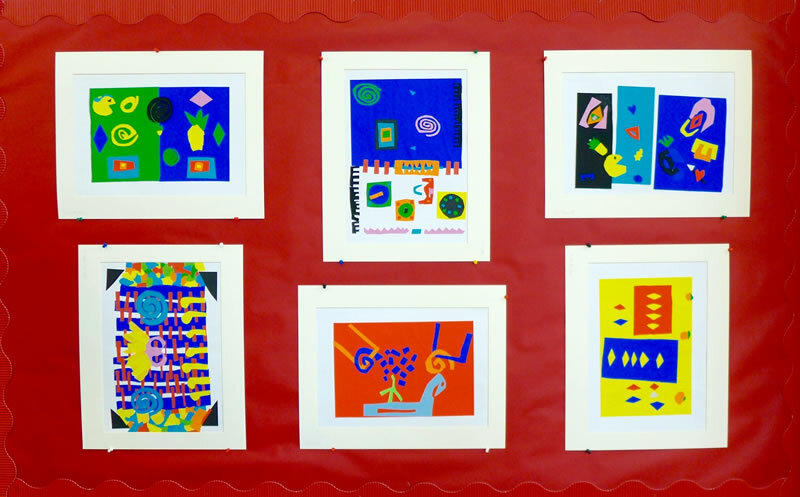 Inspired by Henri Matisse's fabulous cut-outs (exhibited at the Tate Modern in 2014), this workshop is aimed at Primary school children from year 3 – 6 but works equally well with adults. 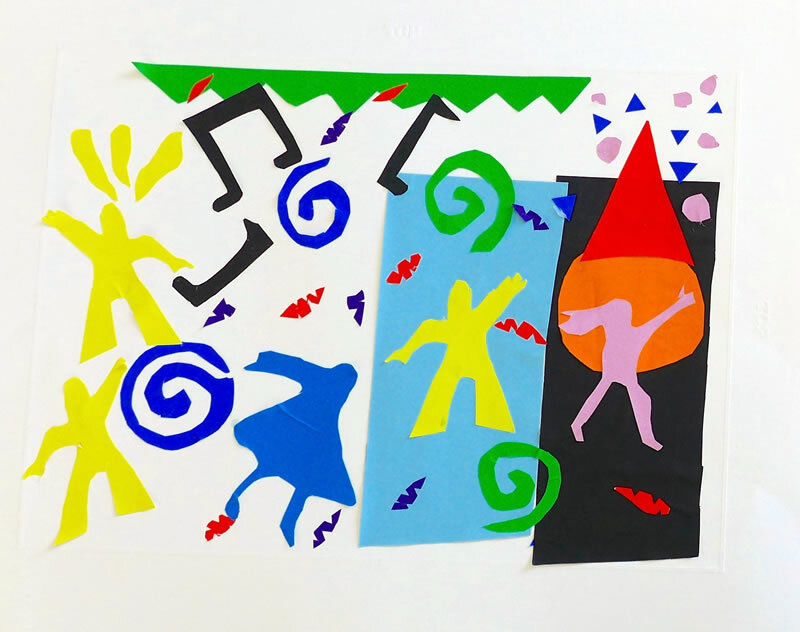 We evaluate Matisse's use of colour, repetition and layers, and create our own individual colourful collages, based on the sights, sounds and smells of the Carnival. 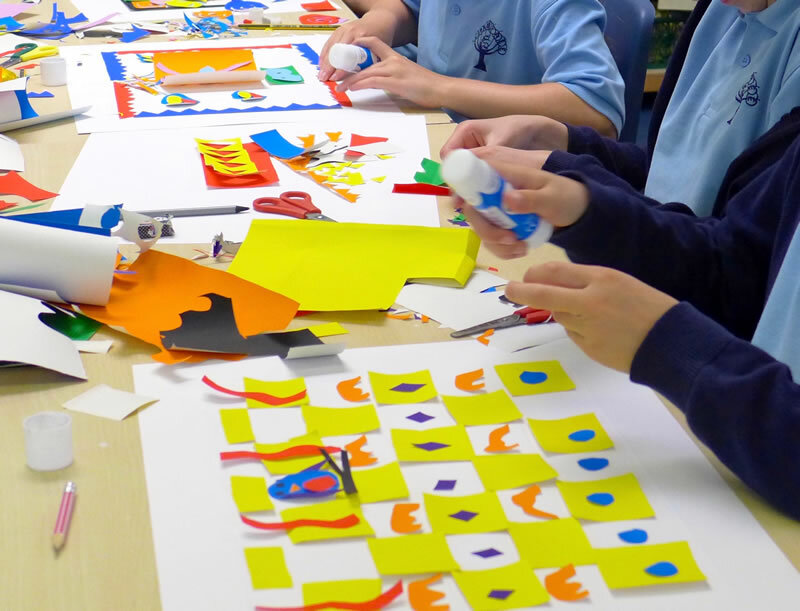 Skills gained include: colour theory; understanding of form and colour to express emotion and movement; abstraction; cutting, layering.